This cruise has something for everyone. Starting from Hurghada and sailing north gives a perfect combination of reef diving and wreck diving. The famous horseshoe shaped reef of Shaab El Erg is a perfect example of the reefs on offer on this cruise with its beautiful hard coral garden and the chance to see dolphins. 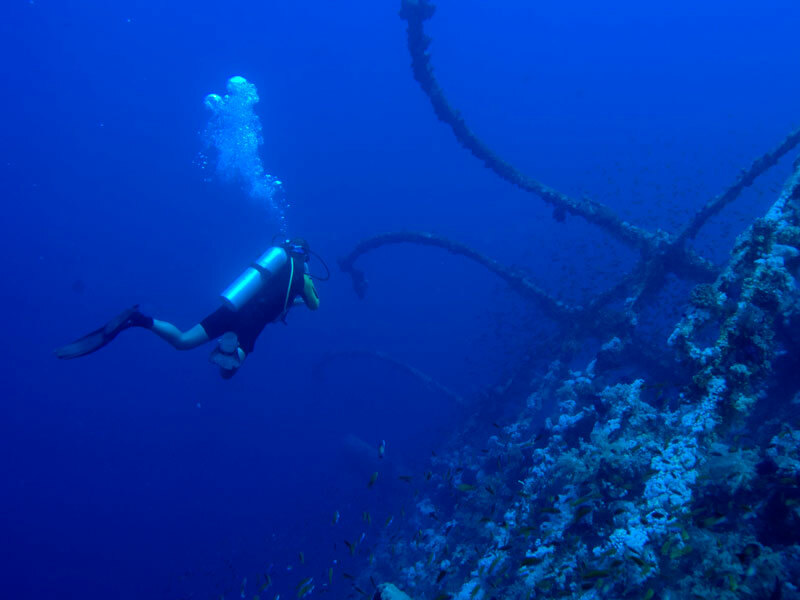 Abu Nuhas has four well-known wrecks: Giannis D, Carnatic, the lentil wreck and the tile wreck, all offering spectacular dives and plenty of fish life. Night dives can be superb in this area Gubal Island offers protected anchoring for the night. 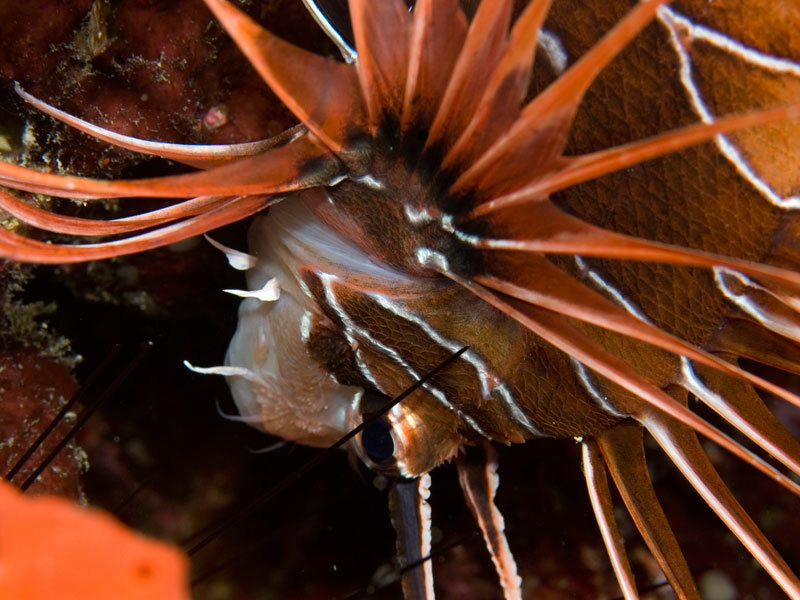 A small wreck at 8-10 metres makes for a spectacular night dive with lionfish, scorpion fish and its resident giant moray eel. Marking the entrance to the Gulf of Suez is the automatic lighthouse at Bluff Point, on the island of Gobal Seghira. Here there is a remarkable proliferation of hard and soft corals, and in small grottoes are glass fish and other sorts of coral fish. You will often find turtles here, they come to hunt the crustaceans and molluscs on the reef. 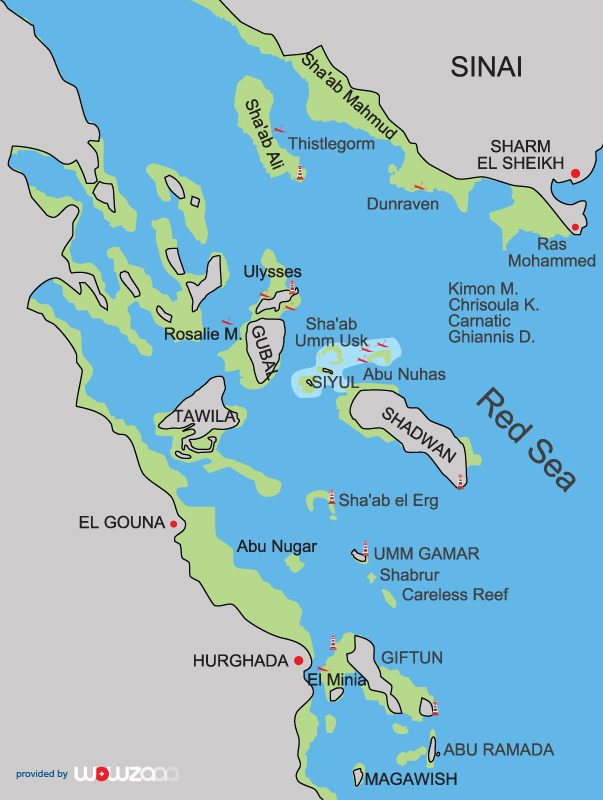 At about 20m there is a wreck of a hull, probably an Egyptian gunboat that went down in the 6 day war. This great reef, also known as the “ships graveyard”, emerges two miles to the north of Shedwan Island at the mouth of the Strait of Gobal. On the seabed of the surrounding area lie no fewer than seven sunken ships from different eras. 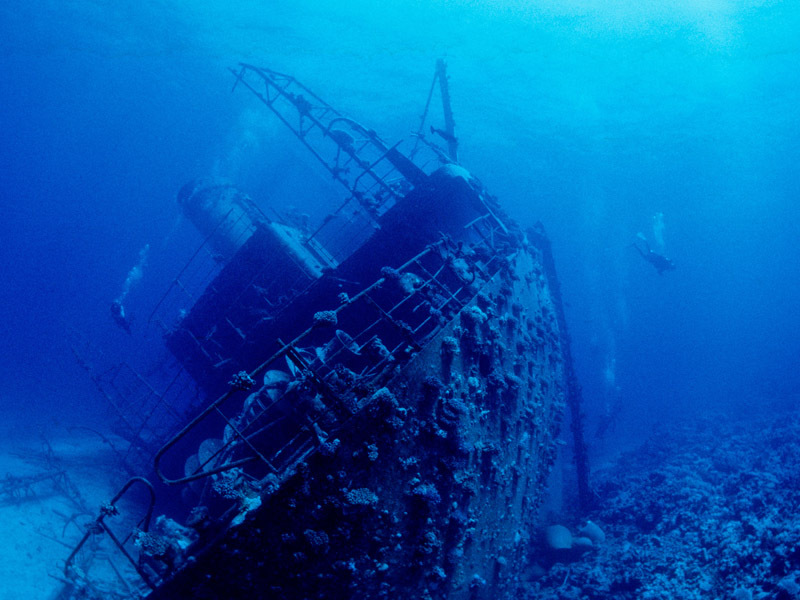 It is often only possible to dive the wrecks from a zodiac due to the heavy sea swells. 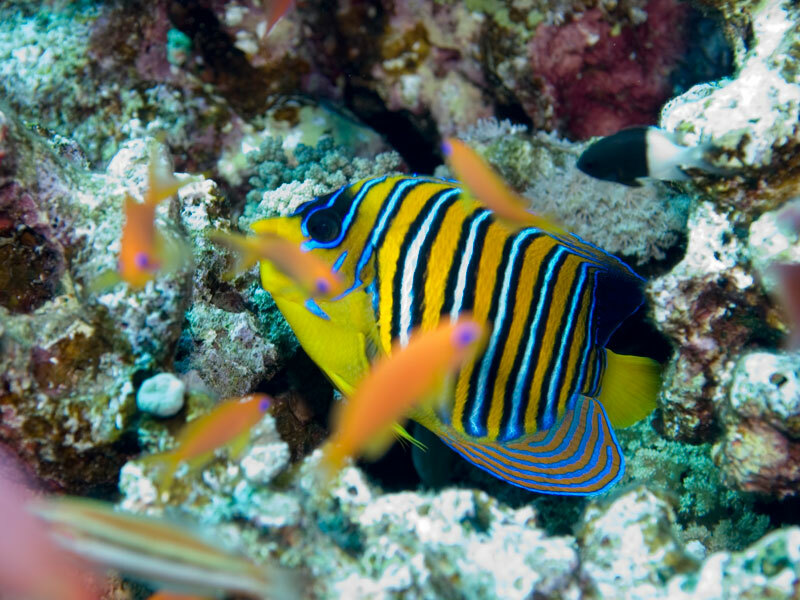 On the sheltered south side of the reef are two beautiful ergs known as Yellow Fish Reef. These make an excellent night dive. 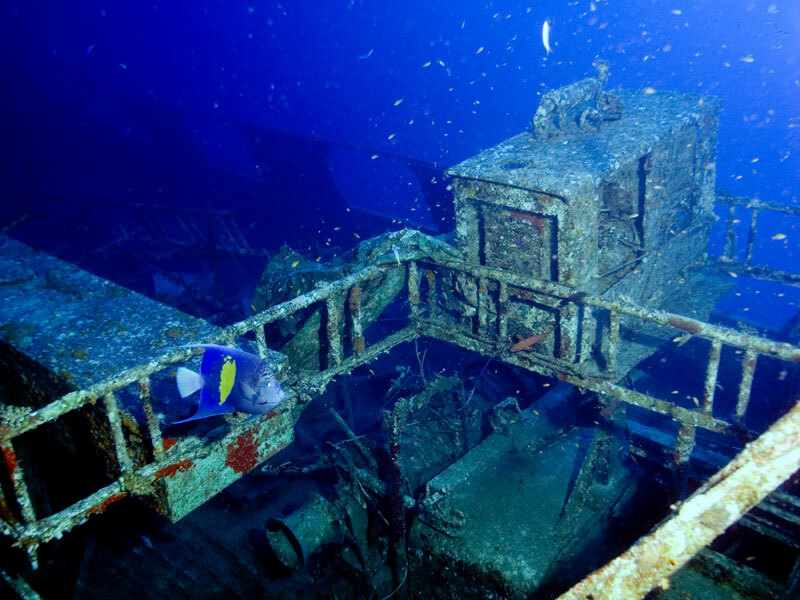 This large Greek freighter hit the reef in1983 and slowly sank over six weeks. The wreck is split into two sections, lying at a maximum depth of 28 metres. The stern section is the most impressive because it can be entered through the many entry and exit points, although it can be disorientating due to the angle at which the wreck lies. The engine room is full of glass fish, and it is possible to observe all sorts of fish swimming by : snappers, jacks, eagle rays and sharks. The Carnatic was a splendid 90 metre long sail and engine steamer launched by P&O in 1862. Carrying a cargo of wine and “London soda water” in distinctive oval bottles, it was sailing the Indies route with a destination of Bombay. It struck the reef in 1869 and remained aground a number of hours before sinking. She lies on one side with the stern at 24 metres and the bow at 16 metres. The decking of the hull has fallen away exposing blackened support structures which are now draped in hard and soft corals. The very photogenic wreck is now home to a number of morays, large grouper and octopus. 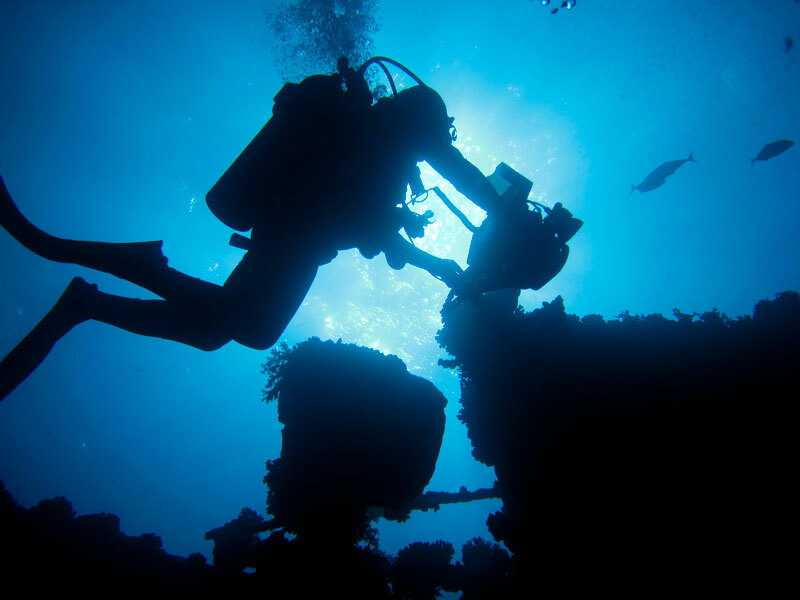 This dive should only be done by more experienced divers due to the strong currents, greater depth she lies at and the often reduced visibility. Sunk just two days after the Thistlegorm by German bombers, she was carrying coal to Alexandria. The wreck is in excellent condition and is now covered with magnificent hard and soft corals, and is the home to a multitude of fish. This 108 metre long vessel lies upright at a bottom depth of 50 metres (keel) and 39 metres (bow) with the top of the mast rising to 17 metres. 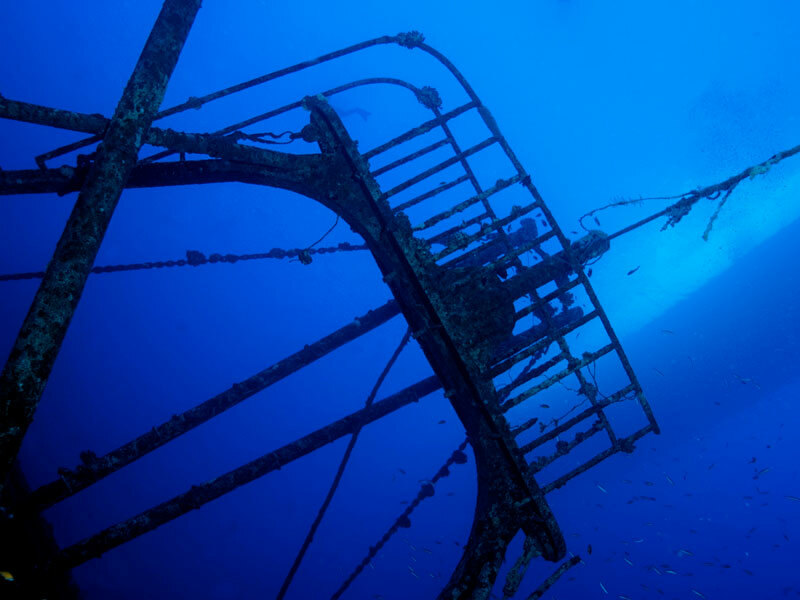 This wreck can only be dived in favourable weather conditions. This large horseshoe shaped reef forms a shallow lagoon where you will sometimes find a pod of playful bottlenose dolphins. At either point you will find good shallow diving on coral gardens, and further around the southern reef exterior you will find a steep wall sloping down to 40+m.